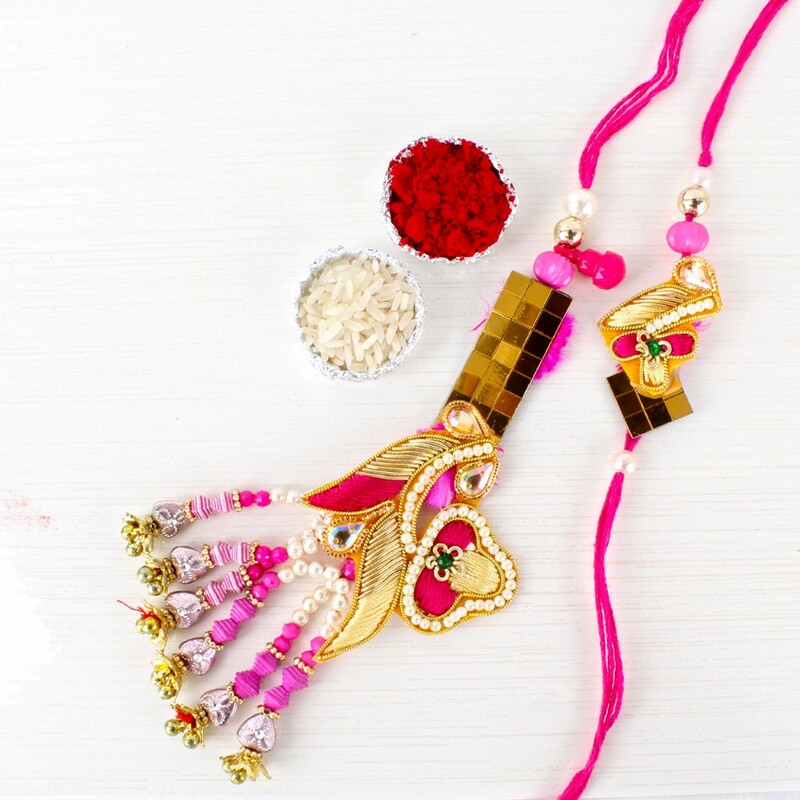 Buy an explicitly pretty and yet, authentic gift for your brother and sister in law to impress them on this special occasion. 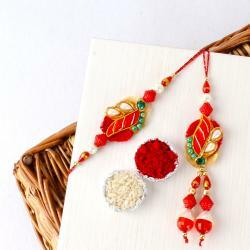 We bring for you a bhaiya bhabhi rakhi set decorated with exquisite embellishments to delight the couple. 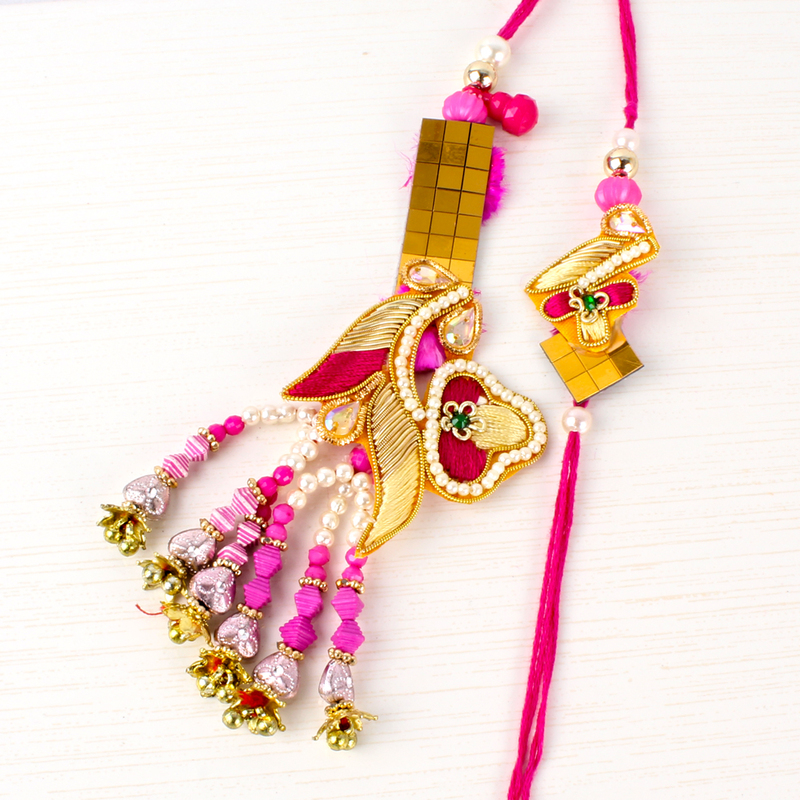 The bhaiya rakhi is made with Zardoshi pearl work and the style bhabhi rakhi is made from colorful woolen thread zardoshi and zari work golden cube base it is create perfect floral design. 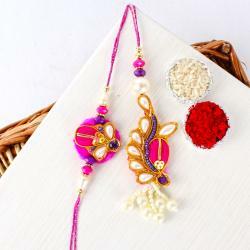 Special Designer hangings made oft of colorful beads and stones. 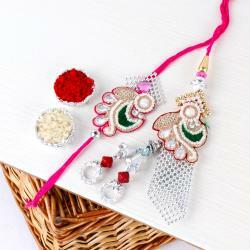 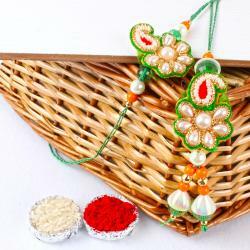 Product Includes: Awesome Designer Bhaiya Bhabhi Rakhi Made Out of Zardoshi Pearl Work with Golden Plates and Lovely Latkans Along with Packet of Roli Chawal.